Britain's Labour Party is preparing to forge a cross-party alliance to guarantee there will be no infrastructure on the border between Ireland and the UK after Brexit. The plan involves trying to rewrite Brexit legislation currently going through the British parliament to enshrine in law the political commitment made at the end of last year to avoid a hard border. If successful, it would rule out customs checks and border controls - forcing the UK government to come forward with alternative arrangements. It would also protect the commitment to "no hard border" even if London walked away from Brexit talks with Brussels without a deal. Labour's Brexit Secretary Keir Starmer told The Observer newspaper: "At the end of last year, the EU and UK government made a political agreement that there would be no hard border in Northern Ireland. "However, the content of the withdrawal agreement is not legally binding. It is a political document subject to negotiation and will not have legal force unless and until it is ratified - which is by no means a done deal." 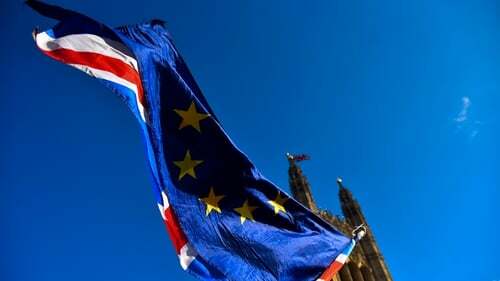 The plan could take the form of an amendment to the European Union (Withdrawal) Bill currently going through the House of Lords and Labour would hope to persuade peers from other parties to back it. That would then force a showdown in the House of Commons when the legislation returns there later this year. Claims have emerged that the officially designated Brexit campaign "cheated" during the European Union referendum. The claims centre around Vote Leave's links to another campaign - BeLeave - which it helped fund. Shahmir Sanni, who worked on the campaign, claimed Vote Leave used it to get around strict spending limits set by the Electoral Commission. Vote Leave has strongly denied wrongdoing and said the £625,000 donated to BeLeave was within the rules. But Mr Sanni told Channel 4 News: "I know that Vote Leave cheated... I know that people have been lied to and that the referendum wasn't legitimate." Cabinet ministers Boris Johnson, Michael Gove and Chris Grayling were among senior politicians involved in the Vote Leave campaign. Deputy Labour leader Tom Watson said: "The leaders of Vote Leave are senior cabinet ministers. We need answers about what really went on." But Mr Johnson said Vote Leave won "fair and square - and legally". Mr Sanni was in a relationship with senior Vote Leave figure Stephen Parkinson - now Theresa May's political secretary - at the time of the referendum and claimed through his lawyers he was "outed" by the Number 10 aide in the run-up to the Channel 4 disclosure. Mr Parkinson said he was "saddened" by the "factually incorrect and misleading" statements by Mr Sanni and his lawyers. Mr Sanni said: "In effect they used BeLeave to over-spend, and not just by a small amount... Almost two-thirds of a million pounds makes all the difference and it wasn't legal." A Vote Leave spokesman said it had "twice been cleared on this matter by the Electoral Commission" adding: "As has been the case throughout, Vote Leave is obligated to review - to the extent it can after this long elapsed period since the referendum - all such allegations, and is doing so. "We will as appropriate share any relevant findings with the Electoral Commission, again as we have always done." An Electoral Commission spokeswoman said: "The commission has a number of investigations open in relation to campaigners at the EU Referendum; it does not comment on live investigations."